An example of innovative Scandinavian design, the graceful curve of the spout leaps from the flat platform to give Loki a dramatic look. 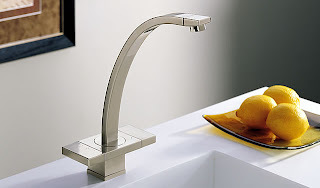 With every slide of the unique handle system, the user is engaged in a modern sculpture. Loki is the proud winner of the RedDot award for product design.